1. a support bandage that wraps around the chest or abdomen and is secured with ties or Velcro. Abdominal binders. A, Scultetus. B, Straight. From Elkin et al., 2000. 2. a substance that attaches to another, such as to facilitate its removal from the body; see bind (def. 2). phosphate binder a substance such as aluminum hydroxide, calcium acetate, or calcium carbonate that binds phosphate in the blood, removing it from circulation; used in treatment of hyperphosphatemia, such as in patients with end-stage renal disease or hypoparathyroidism. 1. A broad bandage, especially one encircling the abdomen. /bind·er/ (bīnd´er) a girdle or large bandage for support of the abdomen or breasts, particularly one applied to the abdomen after childbirth to support the relaxed abdominal walls. a bandage made of a large piece of material to fit and support a specific body part. n a substance, usually sticky, that holds the solid particles in a mixture together, thus aiding in the preservation of the physical form of the mixture. 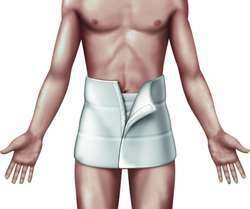 1. a girdle or large bandage for support of the abdomen. 2. fibers in a wool fleece which bind the staples together; absence of them produces a locky fleece. Figure 3 respectively shows, for the use of structures with conventional asphalt binder, SBS polymer- modified binder and rubber asphalt binder, data crossing between cost (R$ [N.
There are two binder brands that you will generally hear recommended; they are Underworks and GC2B. His family members, who did not trust Binder, looked for Labh at several Sikh religious places but failed to locate him. Soil-binder mixtures were designed by selecting an appropriate type of binder and an appropriate quantity of that binder to be added, in the range 2-10% relative to the soil dry mass, requiring the conformity of defined criteria regarding the strength of the mixtures and their frost resistance coefficients. In traditional binder chemistries, film formation and dirt pick-up resistance are mutually exclusive properties: the softer a binder, the better its film formation characteristics and the poorer its dirt pick-up resistance. An insured's expectation of greater coverage than outlined in a binder, leading to disputes between insured and agent regarding terms of coverage. As first, it should be highlighted, that history of polymer modified bitumen use in Europe and in the USA is much different, and similarly as the specification for bituminous binder properties are different. With the results of the audit, a new breast binder was recommended. Given the current economics with higher costs for materials, highway agencies are looking for alternatives to the typical polymer modified binder systems such as styrene butadiene styrene (SBS). 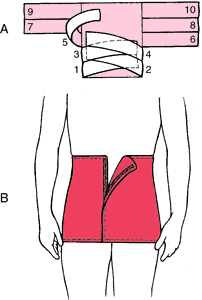 Szender reported that compared with nonuse of the compression binder, use of the binder increased the number of ambulatory events in the first 24 hours after surgery by 200% in patients with vertical skin incisions, by 150% in those older than age 50, and by 74% in those who had undergone surgery for gynecologic cancer. On this corn binder, the tension device is the same as the one in Farm Collector, except the base is made for one bolt, which is mounted on the right post just below the needle.